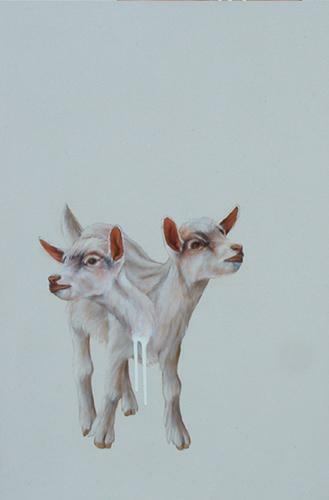 How a 2 headed goat saved a bunch of Monks. Dopple Bock quite literally translate from German to English as “Double Billy Goat” or “Double Goat” and if you’re lucky enough to be in Germany, you’ll see a variety of signs featuring goats to sell Bock Beer. The colorful story that started all this was based in Einbeck, Germany which apparently was a tourist town back in the 13th Century. Meanwhile back in Einbeck, brewers were creating a dark beer that was very popular with the tourists and over the years the beer was regulated by the Hanseatic League. It wasn’t until the 16th century when the Hanseatic League was on the decline when one of the brewers was invited to Munich where he was encouraged to set up a brewery to continue making the beer. Dopple Bock is basicly a double strength bock beer (as much as 10% ABV) which although related, grew in it’s own right through the production in Munich by the Monks of St. Francis of Paula. These Monks produced this Dopple Bock for their fasting times. During Lent, the Monks would consume nothing but the Dopple Bock beer which provided them with a variety of Vitamins, Minerals, Protiens and the caloric intake they needed to survive the 40 day fasting time. 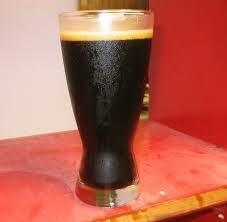 Munich Malt is one of the more predominate ingredients when making this beverage. And where as I grow Tettanger Hops which are also one of the Noble Hops which originated in Germany, it only makes sense that we share in this Lent Tradition. So you have a sweet beer with a high caloric value and a low hop presence. Beers tend to be harder to determine for in period (pre 17th century) classification as the whole Beer Style naming system is an out of period creation. Confound that further with the Classification of Alt Beers (meaning “Old” Beers in German) which include yummy tasting Kolsch. A lighter colored beer which can only be traced back as far as late 1800’s to early 1900’s time period in Cologne Germany. The grains can sometimes take on the name of the region (Munich Malt – Munich, Germany) but the beer is called Bock which depending on the recipe could be from anywhere in Germany and still use Munich Malt.